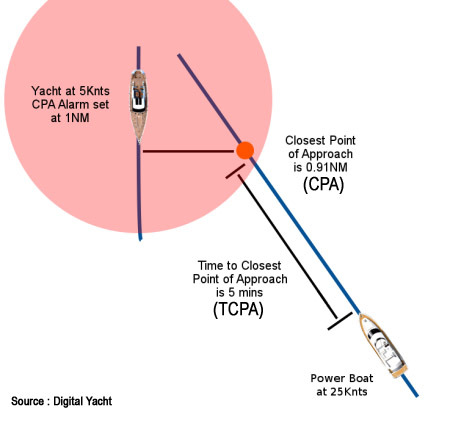 Connecting an AIS to a tablet like the iPad provides a very secure anti-collision function, especially since the portability of the tablet makes it easier to be on watch everywhere on the boat. The Automatic Identification System is a means of communication between vessels using the VHF channel and allowing important information to be exchanged to avoid collisions. Mandatory on large commercial vessels, it is increasingly extending to yachting as a result of equipment cost reductions. - their course (heading and ground speed). The information is presented graphically, with each ship appearing with a logo, a name tag, and its course - a bit like what we know in air traffic control! Although it has an equivalent purpose, i.e. to identify surrounding obstacles, AIS should not be mistaken for a radar. Each of these equipments has its own advantages and disadvantages, the ideal being of course to combine both! Historically prices have been quite high, but we are beginning to see affordable AIS transponders with wifi coming onto the market. Another solution is to connect a wired AIS transponder to a Wifi multiplexer such as the Miniplex-3wi (see below). There are many AIS receivers or transponders on the market, which generally provide their data in NMEA 0183 or 2000 wired format. To receive this data on the iPad or an Android tablet, you must first convert it to WiFi. -> If you already have an AIS receiver in your boat (stand-alone or integrated into your VHF), you can use a NMEA->WiFi converter such as the Miniplex-3wi. 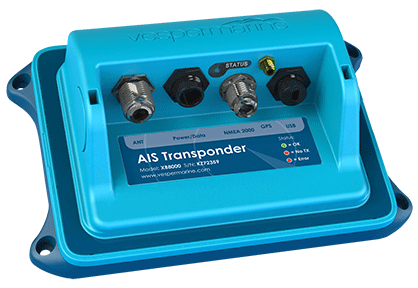 -> If you don't have an AIS yet, you can opt for a device that natively integrates wifi, such as Digital Yacht's iAIS (simple receiver) or Vesper Marine's XB-8000 (transponder), which is very easy to install, and integrates GPS and NMEA0183/2000 connectivity for the other instruments. You can also check the Nomad by Digital Yacht, a wifi transponder which is ultra-simple to install and can be powered from USB ! Once the AIS signal has been received on iPad, it still needs to be displayed! To do this, you will have the choice between a "radar-like" display or a representation on the marine chart. 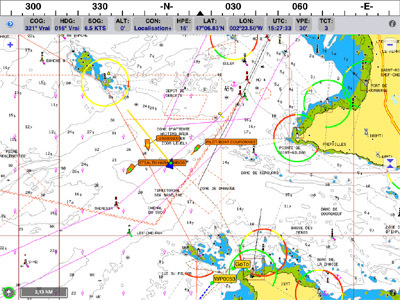 Among the "radar" applications, iAIS (free) is quite complete and even allows to overlay AIS information on a Navionics map background. Be careful however, this does not make it a real navigation app and it doesn't manage anti-collision warnings. For full integration on a nautical chart and alerts management, there are more and more navigation applications available, including Weather4D Routing and Navigation, Sailgrib WR, iNavX, SeaIQ and iSailor.